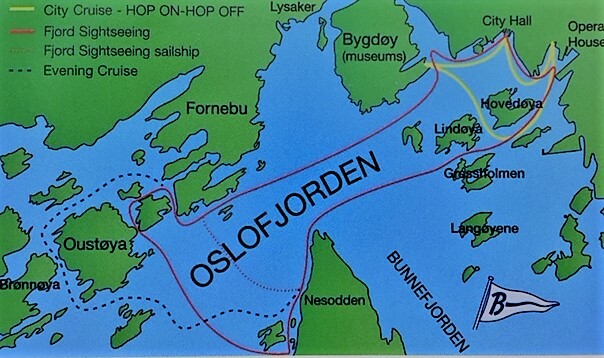 The Classic Fjord Sightseeing Cruise since 1947. This is the classic Oslo Fjord sightseeing. We pass through narrow sounds, idyllic bays and through a maze of islands with small summer houses. Oslo, with its superb location, offers unique photo opportunities. Enjoy the scenery from a sightseeing boat. You’ll sail past numerous islands, including Hovedøya and the Dyna Lighthouse, through narrow inlets and into sheltered bays so that you can capture the capital on camera from different angles. We will pass the Oslo Opera House, housing The Norwegian National Opera & Ballet ensemble. The building has received many awards. The boat then passes close to the peninsula of Bygdøy, with many interesting museums as well as beaches such as Huk. You will see the Maritime Museum with its veteran sailing ships moored outside, and the impressive Fram Museum, housing the polar ship of the same name.